Now that the studio and director Alex Proyas have apologized for the whitewashed cast of Gods Of Egypt, they hope you’ll find it in your heart to forgive them and go see their bonkers-looking action fantasy. And, really, this movie does look positively insane. In the 90-second trailer alone, we get glimpses of a plus-size Jaime Lannister, flying Anubis creatures, Gerard Butler shouting at the top of his lungs, over-sized beetles, multiple versions of Black Panther star Chadwick Boseman, and CGI effects as far as the eye can see. So, unlike last year’s Exodus: Gods And Kings (which was the subject of similar criticisms) at least Gods Of Egypt isn’t even pretending to be historically accurate, right? 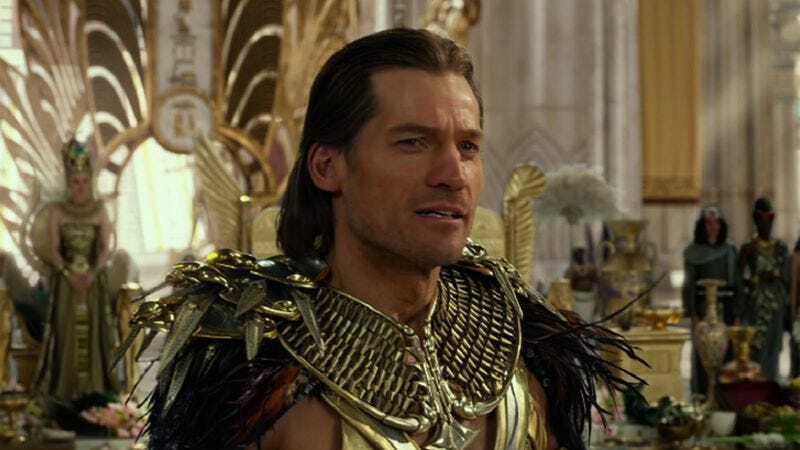 Gods Of Egypt opens nationwide on February 26, but The A.V. Club and Lionsgate have an opportunity for you to see it for free on February 24. For your chance to win a pair of passes to the advance screening, simply follow the link here and enter your information. Remember: Advance screenings are often intentionally overbooked, so be sure to arrive early if you want to guarantee yourself a seat. An official plot synopsis and trailer for the film can be found below.